Renault builds Dacia cars in Pitesti, shown, 117 km west of Bucharest. BUCHAREST -- Romania's government is in talks with two leading automakers about the possibility of opening a production plant in the country, Costin Borc, Romania's economy minister, said. The Romanian auto industry is a big contributor to the eastern European country's economy, with carmakers Ford Motor and Renault-owned Dacia drawn by a skilled labor force and a flat 16 percent tax on profit. Romania is also home to many car parts manufacturers and research centers. Ford builds the B-Max subcompact minivan at its Romanian plant in Craiova, and will add output of the EcoSport subcompact SUV there next year, according to Automotive News Europe's European car assembly plant map. 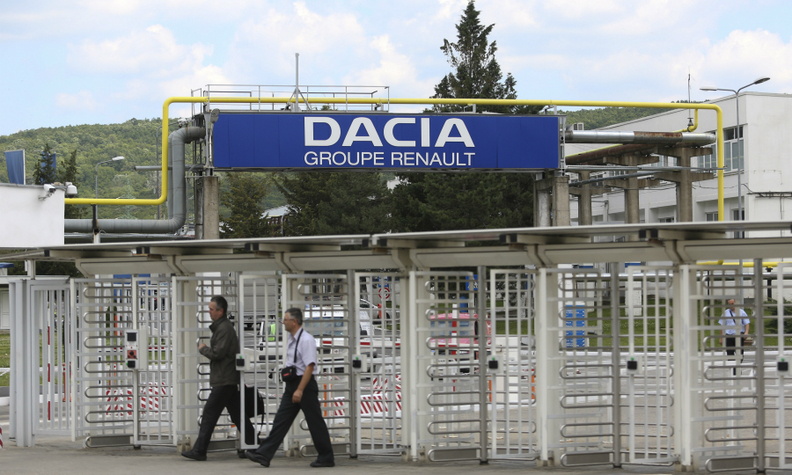 Renault also builds its local Dacia-branded vehicles at a plant in Pitesti, 117 km west of Bucharest.